This story was published about us in the local newspaper. It was the Sunday edition and a double page spread. We wanted to explain to people in lots of ways it is not always easy living on the island and also about our own personal experience of being there and how we spent our time. For thousands of Britons a life in the sun is a golden dream; but for many the reality of a fresh start overseas is not quite as idyllic as the relaxing holidays that often provide the catalyst for such adventures. Jacki and Mike Smith traded stressful city life and dreary English weather for the tranquillity of traditional village life in Cyprus. Having both served with the RAF on the island they were convinced it was the place they wanted to call home, and by the eve of the new millennium were already packed and preparing for a new year and new life in the Mediterranean. Searching for a dream home wasn’t easy and the couple soon discovered that their ‘wish list’ of a rustic property with pool in the popular area of Pissouri was to be severely hampered by budget and availability. Eventually, a spur of the moment decision took them to Kolossi and a derelict two-room house that they had excluded from their search six months previously. A late night scramble through overgrown weeds by torchlight convinced them that the hunt was over and this quaint village wreck was to be their investment for the future. The romance of their new life was sealed on Valentines Day in 2001 when Jacki and Mike signed the contracts and set about getting planning permission to restore the old house. Although they briefly considered the option of demolishing it, along with the adjoining breezeblock outbuildings, to make way for a new structure, the couple became convinced that restoring the old family property was the best solution. “It would have been a shame to knock it down because it’s a piece of history and we didn’t think that it was the right thing to do,” Jacki explains. The decision was aided by the prospect of losing three metres of land from their already compact property to build a public footpath, a planning regulation for newly built homes. When architect Christos Panayiotides was drafted in he quickly put the couple’s financial expectations for the project into perspective. “We initially told him we had £20,000 and he said he could do a room for that,” laughs Jacki. Although the property was a bargain at £10,000, the renovation was to set them back £65,000 and it was a testimony to Christos’ negotiating and research skills that the building costs came in on target. The effort and investment have paid off with the house recently valued at £145,000. Contractors were brought in for phase two of the project to transform the now empty shell into Mike and Jacki’s vision. Although the original walls of the house were constructed from mud bricks, or ‘plithari’, the couple’s tight budget meant that a suitable alternative had to be found to build an extension to the existing structure. The solution was to use a new and unusual material in Cyprus - German polystyrene blocks. Constructed like ‘Lego’ pieces the blocks are used to create a shell which is then filled with concrete to create a solid structure. The environmentally friendly alternative also replicates the energy efficient characteristics of traditional mud bricks, maintaining heat in winter and keeping the house cool during the summer months. With the brick problem solved, the wood for the traditional beams used throughout the house became the biggest drain on the budget. Luckily Christos’ talented brother-in-law Frixos Sopholis, is a talented craftsman and Jacki believes it was a unique experience to watch him apply his skills to the house. “He would show you how he was doing the work and then bring out his lunch of halloumi and olives; he did things in the traditional way. It’s all a bit cut and dried in England but with these people we felt we were in touch with the real Cyprus,” she says. After several breaks, including a six-month trip to the States for Jacki and Mike to ‘re-group’ after difficulty finding jobs to pay for the renovations and living expenses, the house was finally finished in July 2007. Sadly, the couple had little money left to enjoy any quality time in their new home, and their last few hours on the island before heading back to the UK were spent cleaning and scrubbing in preparation for its first tenants. “We were literally cleaning it on the way to the airport, we just dropped the Ajax into a bucket and it was time to go,” Jacki explains. Now a comfortable house featuring Jacki’s ‘dream kitchen,’ relaxing terrace and views of historic Kolossi castle from the main bedroom, the restoration and extension was an ambitious first time project for the husband and wife team. Mike and Jacki maintain it was an enjoyable experience and even now her job as a project administrator with a mechanical and electrical firm in Sheffield means she still finds herself working on building sites. “I miss the relaxed pace of life, the ‘siga siga’ way of living. Even the smells and sounds of the island and people saying hello to you on the street,” Jacki says, reminiscing about the life she and Mike had hoped for. With more money behind them the couple are planning a permanent move back to the sun in the future, albeit with more realistic financial expectations next time. You need to have a certain quality of life or it becomes a beautiful prison. I would say to people think about what you are doing and have a couple of years living expenses behind you,” she advises. For now Jacki is searching for new tenants for her dream home, hoping that they too will appreciate the house and village lifestyle that she so clearly loves and has been forced to leave behind. You can get a 1 to 2 bedroom apt for approx £300.00 Sterling per calendar month so don't rush to buy or build until you are sure you are happy you will stay at least 5 years. Keep one of our properties in the UK for back up and extra income through rental and have a place to return to or sell in the future. Not everyone is lucky enough to have more than 1 property in UK, but if you do please be careful. Under current circumstances in Cyprus we would never sell our UK home to finance one in Cyprus, if it was our only home. You never know when you may have to return to the UK. Bear in mind if you need to work, a lot of other people are looking for that same job you are. Tourism is down as has been for the last 10 years, as people find other places in the world to visit, for the same money they might spend on what some would deem an inferior holiday to Cyprus. Employers 9 times out of 10 would like bi-lingual speakers in greek and english, if you look in the Cyprus Weekly at the jobs page then you will see what we mean. You might be lucky and get a job in rental office or similar where the clientele is british but something to bear in mind. And as far as starting another property maintenance company in Cyprus, really think hard about it. There are so many already and you look at the private rental websites, you can see a lot of villas don't have any bookings, so who will use your services. We have no wish to dampen your enthusiam about living in cyprus, it is a wonderful place to come with the children, or retire but there are a lot of things you must take into consideration. You don't want to have to leave your dream like we did. Just ask yourself if the people you are seeking advice from about living in cyprus have your interest at heart or theirs? You will soon weed out the wheat from the chaff. I will be adding links to sites from people who live and work in Cyprus, or who are retired, so you can get different points of view, not just ours. I am starting here with Emma who lives in the Derynia area, in eastern Cyprus. She moved here with her husband and has one young son and another child on the way. This is her blog about her life. Sue and her husband came to Cyprus in 1997 with a view to staying for a couple of years. 14 years later they are still here. Follow their blog about living in Cyprus and the trials and tribulations over a peiod of years. 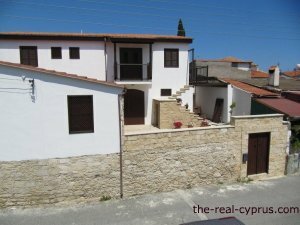 Got A Question About Living In Cyprus? Have You Got A Burning Question About Living In Cyprus? What Is It You Need To Know About? Enter Your Title: eg: Where Is The Best Place To Live? Where To Live In Cyprus? Which are the most popular areas for expats to settle in Cyprus? Here are some questions for you to ponder on while you are planning a move to cyprus.